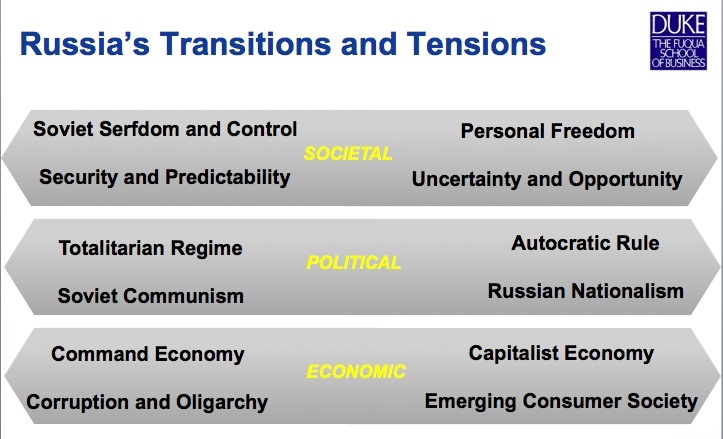 Just as we examined the impact of culture and civilization on England, the Middle East, India and China through the prism of transitions and tensions, the CCL course in St. Petersburg will be grounded in the key transitions that Russia is experiencing and the tensions that have emerged as a result. 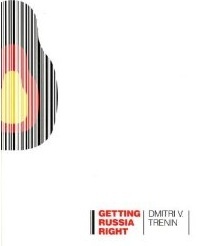 In this video excerpt, Dmitri Trenin, Author of “Getting Russia Right” provides a backdrop of the following transitions that Russia is currently undergoing. The Tale of Two Cities: The City of the Kremlin and its Vertical Bureaucratic Political Power Structure and the City of Millionaire Citizens Who Increasingly Own More and More of Russia. The Ikea Index: An indicator that the common people whose economic lot is changing as they increase their participation in the emerging market economy. Political: From Soviet Communism to Russian Nationalism. 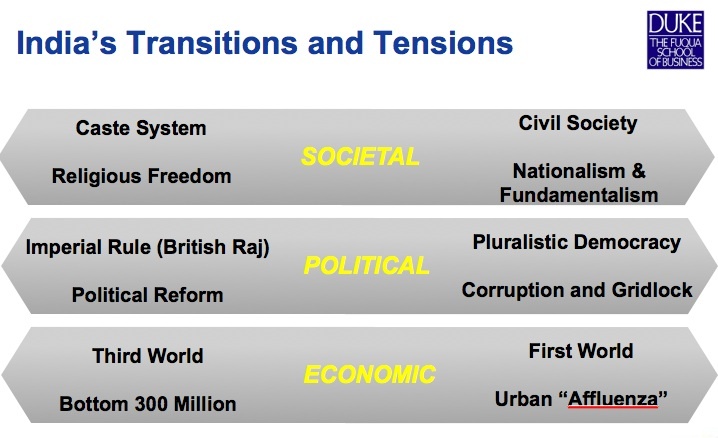 We will explore the Societal, Political, and Economic transitions and associated tensions in more depth in subsequent pages of this blog. 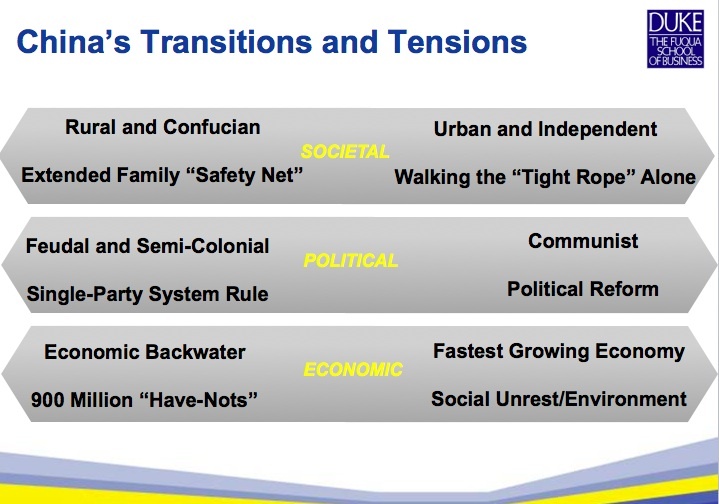 Just as we examined the impact of culture and civilization on England, the Middle East and India through the prism of transitions and tensions, the CCL course in Shanghai will be grounded in the key transitions that China is experiencing and the tensions that have emerged as a result. What Model of Capitalism Should China Embrace? What Model of Political Reform Should China Adopt? What kind of World Power Should China Become? Political: From Single-Party Rule to Eventual Political Reform. 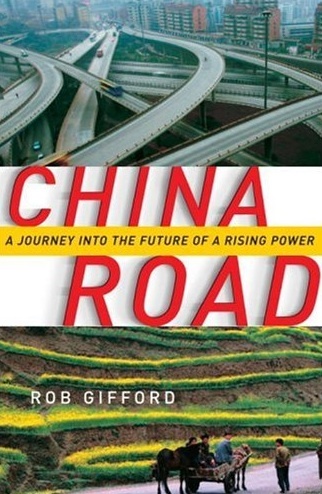 The following video interview with Rob Gifford, NPR China correspondant from 1999-2005 and author of China Road, provides much more nuanced context around the Transitions and Tensions outlined above. Just as we examined the impact of cultural and civilization on Dubai through the prism of a tension where the region seeks to remain true to its Arabic and Islamic Heritage as it simultaneously embraces the modern-day economy, the CCL course in Delhi will be grounded in the key transitions that India has experienced and the resulting tensions that have emerged as a result.